Snort is an open-source, lightweight, free network intrusion detection system (NIDS) software for Linux and Windows to detect emerging threats. It’s capable of of performing real-time traffic analysis and packet logging on IP networks. It can perform protocol analysis, content searching/matching, and can be used to detect a variety of attacks and probes, such as buffer overflows, stealth port scans, CGI attacks, SMB probes, OS fingerprinting attempts, and much more. With over 4 million downloads and over 500,000 registered users, Snort is the the most widely deployed intrusion prevention system in the world. Scalability: Snort can be successfully deployed on any network environment. Flexibility and Usability: Snort can run on various operating systems including Linux, Windows, and Mac OS X. 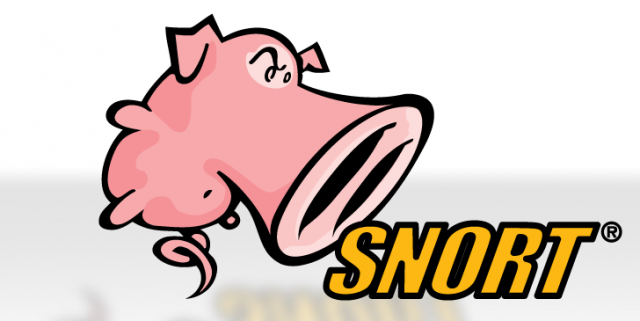 Live and Real-Time: Snort can deliver real-time network traffic event information. Flexibility in Deployment: There are thousands of ways that Snort can be deployed and a myriad of databases, logging systems, and tools with which it can work. Speed in Detecting and Responding to Security Threats: Used in conjunction with a firewall and other layers of security infrastructure, Snort helps organizations detect and respond to system crackers, worms, network vulnerabilities, security threats, and policy abusers that aim to take down network and computer systems. Modular Detection Engine: Snort sensors are modular and can monitor multiple machines from one physical and logical location. Snort be placed in front of the firewall, behind the firewall, next to the firewall, and everywhere else to monitor an entire network. As a result, organizations use Snort as a security solution to find out if there are unauthorized attempts to hack in the network or if a hacker has gained unauthorized access into the network system.